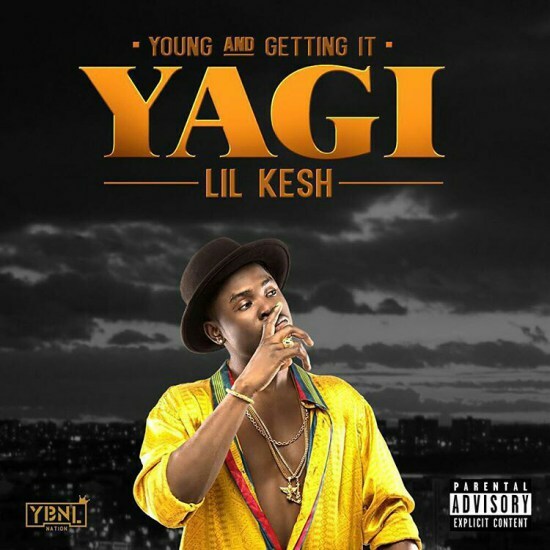 After much anticipation, fast rising rapper Lil Kesh has confirmed that his debut album Y.A.G.I (Young and Gettin’ it)has dropped. The album will feature Lil Kesh’s hit singL£s Shoki, Efejoku, Ibile and Is It Because I Love You alongside latest efforts Cause Trouble Part 1&2 and other unreleased songs. Also, label boss Olamide, Davido, Viktoh, Wale, Patoranking, and YCEE are some of the acts featured on the album. The album cover for Y.A.G.I which he released via Instagram was designed by fellow YBNL label mate Adekunle Gold who doubL£s as a graphic artist. Download and Enjoy! Keep Refreshing this page every hour as more track download link will be updated soon.